As I scan the press releases for what I feel is the most objective and meaningful content to provide to our viewer base today, I'm brought right back to Ripple and the plentiful list of events surrounding the Company and it's underlining Blockchain services. Digging with the intention of covering something else to bring more balance to cryptocurrency news coverage of late by ICNN.news. In reality, the company simply has a lot going on right now with the potential to influence the market, blockchain adoption, and asset price in meaningful ways. Gene Sperling - National Economic Council Director and National Economic Advisor under Presidents Clinton and Obama. Kwon Park - Head of Business Development, Bittrex Inc.
Santander Bank having Joined Ripplenet early this year, successfully tested cross-border transactions with XRP, and launched OnePayFX - the first mobile application for international payments powered by Ripples blockchain technology. Santander Group’s executive chairman Ana Botín explained 50% of all international transfers by the bank can now use Ripple's xCurrent powered OnePayFX. May 10th, 2018 Ripple released a vague press release and reported test pilot results of xRapid - the highly anticipated icing on the cake of Ripplenet's banking and payment provider solutions. Participating financial institutions were said to realize a savings of 40-70 percent compared to expenses otherwise accrued with traditional foreign exchange services. These transactions were performed in an average time of 2-3 minutes compared to the expensive and comparatively time-consuming 2-3 days when using traditional means. American Express admitted to having already tested and validated the cost savings of Ripple products at the money 20/20 event in Amsterdam back in June 2018. It was revealed American Express had formed the initial partnership back in November 2017 and chose to keep tight-lipped on the topic. By the end of this year, major banks will use xRapid as a liquidity tool. By the end of next year, I would certainly hope that we will see…in the order of magnitude…of dozens. But we also need to continue to grow that ecosystem… Grow the liquidity. So far, cryptic or insinuative statements in public from Garlinghouse seems to be trending into reality as time moves on. That's a pretty interesting correlation to me. I could go on and on and on about the impressive partnerships being publically embraced in the Ripplenet framework but quite frankly, I simply don't have the time in a day or five to list all of the meaningful details leading to this point in Ripple's evolution. I'm not remotely attached to any one asset in any market at any time. Objectively speaking, I can't pretend what I'm seeing surrounding Ripple and XRP isn't of meaningful interest to every exchange-traded blockchain product. XRP has been swapping the #2 Crypto by market cap position with Ethereum like a game of leapfrog for over a week now. I don't dare speculate beyond, however, I see reasonable evidence to suggest it could begin to pull away and secure it's number two below Bitcoin status once xRapid goes live. "I am very confident that in the next one month or so you will see some good news coming in where we launch the product live in production." compliance controls. 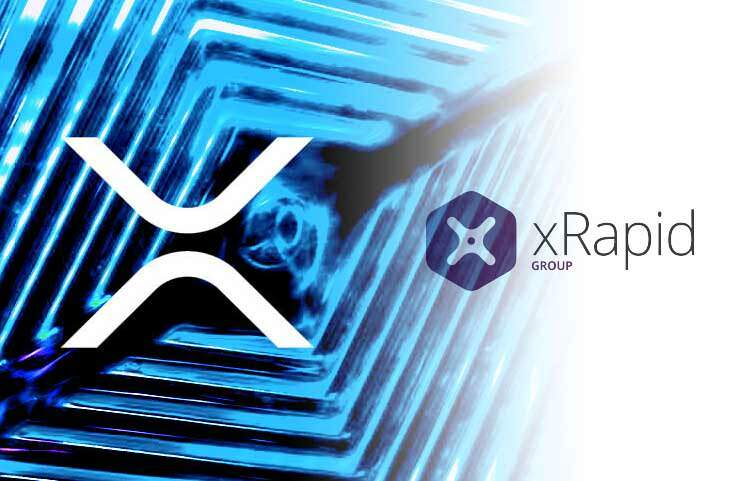 We believe that digital assets like XRP will play a key role in the future of cross-border payments, helping to safely address some of the structural inefficiencies of legacy settlement infrastructure as their adoption grows. We look forward to exploring next steps with Ripple.” – Paul Dwyer, Co-founder and CEO, Viamericas. The real question I see of whether or not you're an XRP supporter within the space is if you're investing in a space to proliferate an ideal with an expectation to transform the world into a utopia of Libertarianism. Certainly, a fantastic cause to support! Maybe you're here to invest in your future while assuming extream risk with the potential of meaningful returns while supporting a technology which has genuine potential at making the world marginally better and solving real problems. The idealism of what a cryptocurrency "should be" seems to get a lot of attention in the space from the most passionate of idealists. I'm not at all refuting many of these ideas in theory at face value. I also fundamentally support many of these ideas as a self-identified libertarian to which Ripple and XRP could be argued fails at fulfilling. I further recognize many other cryptocurrencies don't fit the same mould XRP does and is why it has my attention. XRP is built on a complicated framework for a complicated world and it's doing it very well to date as I can surmise. When investing in your personal future and taking control of your financial wellbeing, a far more traditional outlook of where your investments are most probable to realize returns considering the world as it is today might be the adopted perspective. It's apparent a lot of people are expecting far too much from their favourite cryptocurrency. Ripple isn't trying to start a revolution, but it may well be meaningfully improving the systems we already have and are highly unlikely to see dissolve in our lifetime. 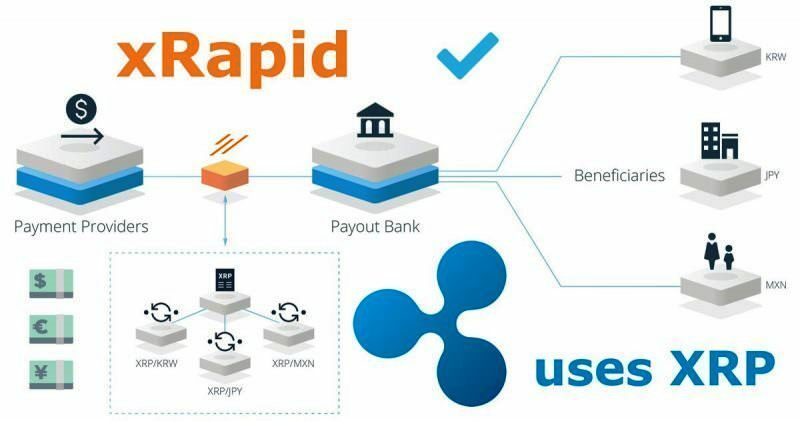 At the end of the day, Ripple products and the implemental execution leading up to the active use of XRP over the xRapid framework will allow for Trillions of Dollars sitting idly as transactions conclude through legacy payment systems. According to a 2016 report by McKinsey and Company - a global management consulting firm, 5 trillion dollars remained locked in Nostro accounts as cross-border payments are settled. XRP is about to make the jump from a speculative asset to one that succeeds or fails on merit. The implementation of xRapid and XRP in addition to the suite of services Ripple already provides will negate this need at a significant cost reduction in fees as well. To learn more about this process and how Ripple is addressing them, read this report. Ripple has been bringing their roadmap of services to market with surgical precision and effective implementation. They even formed a lobbying arm that now leads blockchain startups into Washington to pressure and assist with common sense legislation to stimulate growth which the United States has failed to foster in the ways many other jurisdictions on earth have embraced. This is how ambitious changes get done today. It's reasonable to see why there's so much excitement abuzz for Ripple and speculation of XRP. Executive chairman and co-founder of Ripple Labs Chris Larson is revealing how he envisions crypto and blockchain will influence the global payments industry. 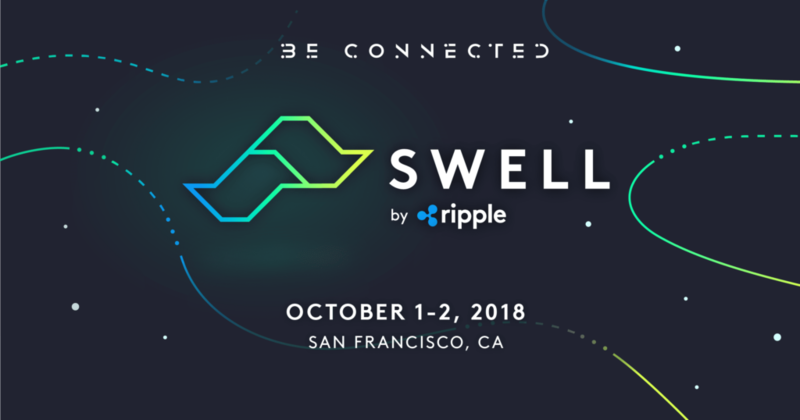 Many speculate the official launch of xRapid will be announced at Swell 2018. This is the event which brings true value and uses to XRP the asset. Not just Ripple the company. This is what the die-hard holders have been waiting for and defending their belief in the XRP ecosystem as a valid enterprise and banking solution to the inefficiencies of today's process. Now the entire world will get to watch the events unfold that could validate XRP as the next global solution for the mass migration of value and if it can stand up to the status quo. Love it or hate it, Ripple and XRP are doing big things right now and we're all getting a front row seat. Ripple is off to a great start at moulding the future of cryptocurrency. Can they pull it off? My observations suggest to me they may well begin to contend in the largest money markets on earth. 2018 has been an exciting and productive year for the company to date. It seems they may be in store for an even more exciting end of the year and into 2019. ICNN will continue our active coverage of the topic as events play out.